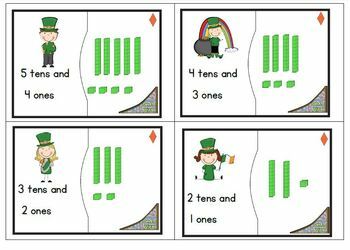 Understanding place value can be made fun for your students by using this set of 28 place value puzzles. Students match models to words. This freebie is an instant center. Just print, laminate, cut out and use. Puzzles can be easily differentiated by level of difficulty a star marks the upper corner of the tens and one’s model cards representing numbers higher than 59. A diamond marks in the upper corner of the tens and one’s model cards representing numbers lower than 59. You can easily check on students understanding of this skill just by glancing at the puzzles they have completed.